Now that we have passed through the Mercury Retrograde and it’s shadow, it is time to begin the 2nd quarter of 2019 with an upgraded purpose & goals mentality. What is calling us to success out of the New Year’s goals? Hopefully we have noticed what is not working for us? What is that deeper soul longing for business or relationships? My intuitive sessions have uncovered this hidden element. For many, it has confirmed what we already suspected. judith@eugeneintuitive.com for your next success soul reading. Awaken to the true authentic YOU. Aces represent new beginnings. Here the torch and the lightening bolts represent vitality and passion for living 100%. This card is internal and external success in manifesting and organizing success. Aces represent new beginnings in success. The 4 angel wings are an indication that your guides and angels are here to assist. 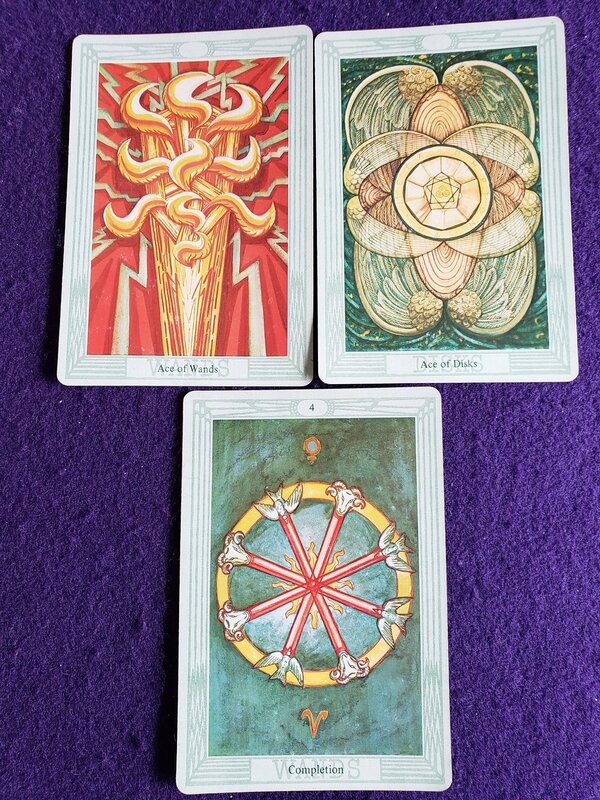 Now that you are committed to the two new beginnings, it may be time to come full circle and love (Venus) the endings in order to receive the new, pioneering (Aries) insights. Go for it!